If you want to know how to make your eyes look bigger you have definitely come to the right place. I was blessed with big blue eyes and long, thick lashes but that doesn’t mean I don’t like to accentuate my eyes and make them appear even bigger. I’ve picked up a few tricks over the years that can help you make your eyes look bigger and thought I’d share those tips with you. Enjoy! Invest in the right products. 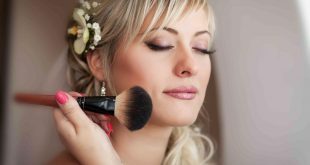 There are three tools you should really have in your makeup bag (beyond eyeliner, shadow and mascara, of course) if you want to know how to make your eyes bigger. Those three tools? An eyelash curler, a decent highlighter and false lashes. By decent highlighter, I don’t mean expensive. I just mean decent quality and yes, such a thing can be purchased without breaking the bank. I only use ELF cosmetics because they’re high quality but they’re also inexpensive. Enough about money, let’s talk about how you’re going to use these goodies. First, let’s talk about the highlighter because there are just a whole lot of women out there that don’t really understand why it’s important. Trust me. If you want to know how to make your eyes bigger you really need to read this paragraph. A good highlighter will make your eyes pop. You’ll look more awake and your eyes will appear bigger and brighter. All you want to do with this stuff is dab a little on in spots just below your eyebrow on the brow bone. You can also work with the natural shadows of your face by bowing your head and filling in the shadows with dabs of your highlighter. Blend everything in well with your finger and you’re done. 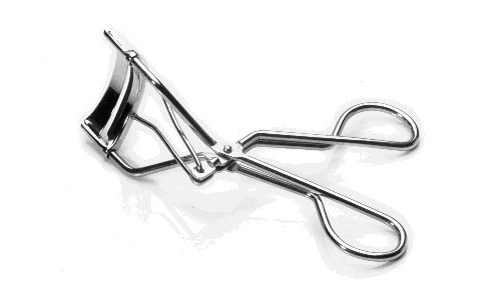 Eyelash curlers are pretty straight forward devices – easy to use and cheap to buy but also very good at opening an eye up and making it look bigger. Most folks recommend using your eyelash curler before you your mascara but I prefer to use it after I apply my mascara. You just need to be careful. Make sure your mascara is completely dry before you attempt to use your eyelash curler or you could damage your eyelashes. I’d also recommend using a little bit of heat on your lashes with the curler as this helps set the curl and prolongs the effects of your lash curler. All you need to do is turn your hair dryer on your eyelash curler for a few seconds before using it. Just make sure you don’t let the lash curler get hot. The last you want to do is burn yourself – especially around your eye. Touch the metal with your fingertip first to make sure the curler is cool enough to use. Finally, let’s talk false lashes. Very few people are born with long, lush lashes and investing in a set of high quality false lashes can give your eye the boost it needs to really pop. I know a lot of people are a little nervous about using false lashes because they can be a bit tricky but they can be a great tool if you use them properly. I’m going to be sharing a more detailed article about using false lashes next week but for now, pick up a pair of flash lashes and play around with them to see what works best for you. If you still need help, make sure you come back next week for our guide on how to use false lashes. Don’t ignore your eye brows. Big, bushy brows can really ruin an otherwise flawless look. This is another topic I’m going to cover more in detail in coming weeks but I wanted to take a moment or two to discuss how important well manicured brows are to not only making your eyes look bigger but to making sure your whole look is as good as it can be. I would recommend going to a professional for your first shaping. A professional will help you pick the shape that’s right for your face and the work they do will help create a map in your brows that you can maintain at home with your own tweezers. Use eyeliner and mascara properly. Eyeliner is trickier. The problem with eyeliner being tricky is that a lot of women don’t even realize how tricky it is. If you use too much eyeliner you close off the eye and make it look smaller. If you don’t use enough, you’re not making the eye look as big as it could. You’re not making it pop. I talked about mascara in depth in this article and plan to write more in depth about properly applying eyeliner in an upcoming article so I’ll only share a few quick tips that specifically relate to making eyes look bigger here. I want to make this clear – eyeliner and mascara on the lower lid will not work for every woman. If you’re not sure if it works for you, try out these tips and see how they look. The trick to using mascara to make eyes look bigger is using it to make your lashes look longer. If you have short lashes on the bottom lid, putting mascara on those short lashes is only going to make them appear shorter. You can read a solution to short lashes on the bottom lid in the article I linked to above. For now, I want to focus on those of you that have longer lashes on the bottom lid and want to know how to use mascara to make your eyes look bigger. First, you’re going to want to line your lower lid with a few swipes from an eyeliner pencil. I recommend using a pencil because if gives a softer, more natural look. You want bigger eyes, not raccoon eyes. When you have the eyeliner on, use the tip of your finger to smudge it a little bit. I know this goes against instinct for some of you, but a little smudging makes your lines look even more natural. One you have your eyeliner on, it’ll be time to move on to mascara. 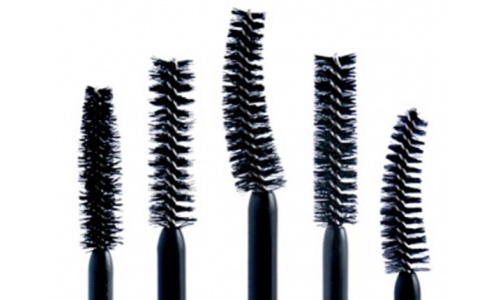 You’re going to want to hold your mascara wand vertically and brush it back and forth across the lashes. 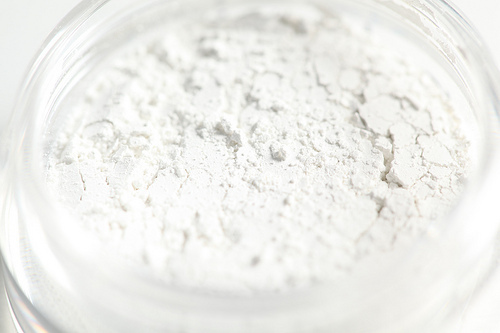 Use the fewest possible swipes of the want to prevent clumping. Another little trick for using eyeliner to make your eyes bigger and your lashes longer is extending your eyeliner past the corners of your eye on the outside. This one can be a little bit tricky though so make sure you’re careful. If you’re just trying this technique out, I would recommend taking it for a practice run a few times. The line you draw with your eyeliner goes on the top lid and should run up slightly toward the end. You don’t want to overdo this one. Don’t use too much liner and definitely don’t extend the line too far. You just want to enhance the eye and make it look wider so the line should look natural. White shadow or liner is your friend. I remember when I was first learning about makeup, I was told one thing – white eye shadow is ugly, useless and tacky. Clearly the person showing me the ropes didn’t know as much as she thought she did as this is one of the best tips I can offer on how to make your eyes bigger. A little bit of white shadow applied in just the right spot will brighten the eye and make it appear larger. You want to put just a touch of white right beside your tear duct (on the inside ridge of your eye where your top eyelid meets the bottom eyelid) but you want to also make sure you don’t use a harsh white. Just something soft and light will do the trick. You can also add a little seductive touch to the eye by lining your bottom lid with a white eye pencil. I would recommend using a creamier pencil as it will give a softer look. Just don’t use too much. It should look natural. A quick, faint line will be enough or you’ll wind up looking silly. Take multivitamins if you need them. Relax. Easier said than done right? Maybe not as much as you think. By getting more sleep, drinking less alcohol, eating a healthier diet and making sure you body has all the vitamins it needs, you’ll be putting less stress on your body which means less stress on your mind. Treating your body better means it will treat you better and in turn, you’ll feel better overall. Definitely worth trying. 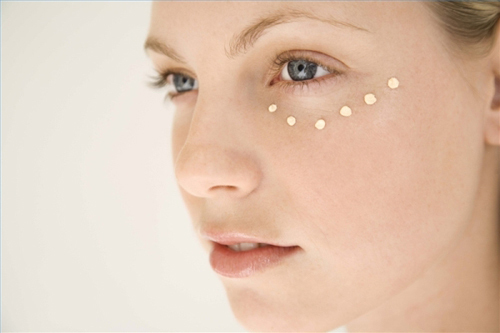 You can check out some other ways to get rid of those troublesome dark circles in this article.